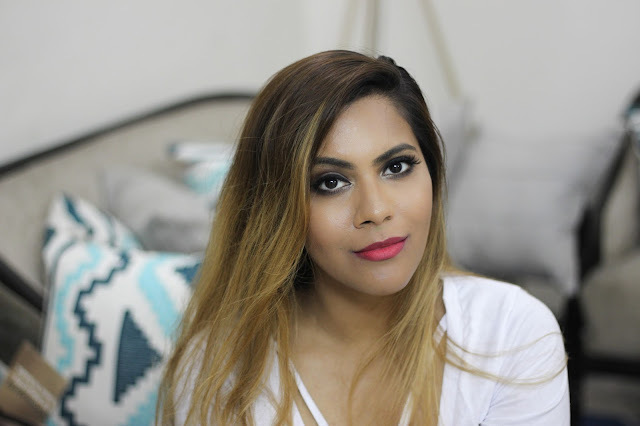 Lip colours is one thing that I can never gave enough off! I have a huge draw of lipsticks but still I am always up. To add more! 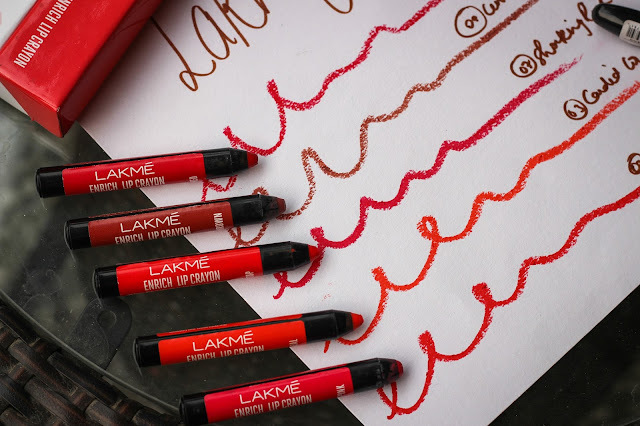 Lakme recently launghed Lake Enrich lip crayon and I and super excited to have a few of the shades. 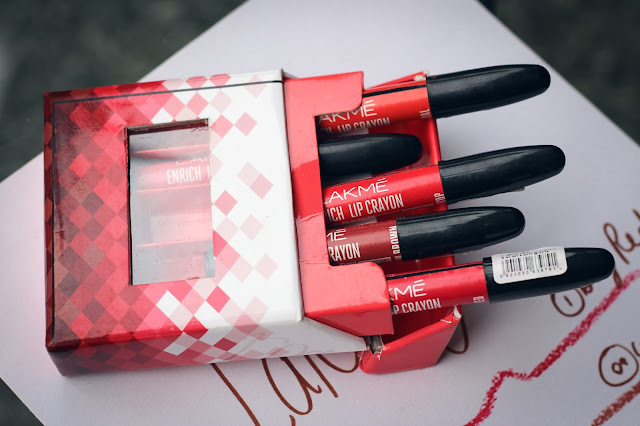 Lakme Enrich Lip Crayon 185 INR for one crayon which comes in all shades of brown, links and reds. The lip crayons are light weight everyday Lucille's that come in crayon form and smells like the tastiest dessert that you can ever find. 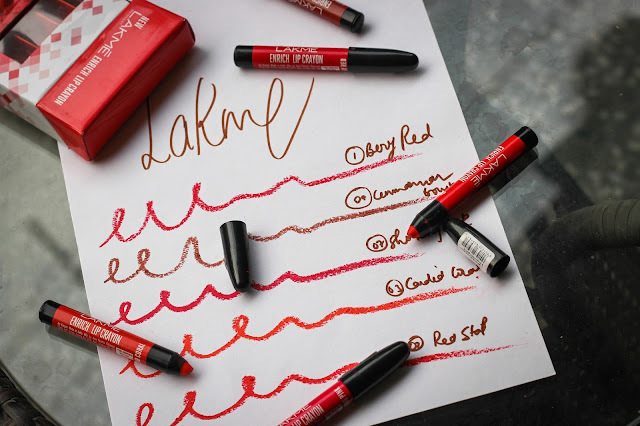 Lakme Enrich Lip Crayons are very sleek and come with a sharpner. 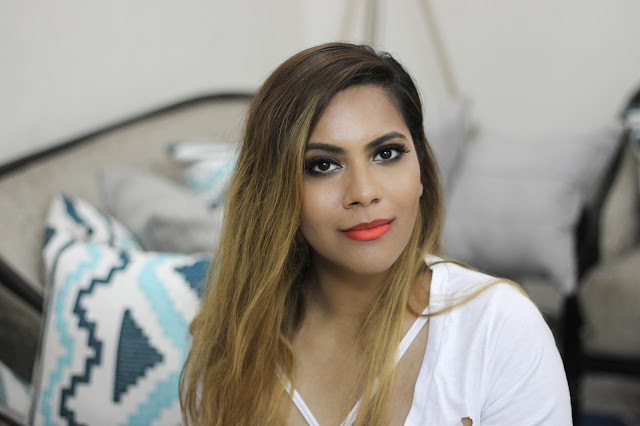 Being a Sharon's kind of a crayon, you can get the lip shape right as you can easy play with the perfect tip that sharper gives. The colours are bright and look beautiful. 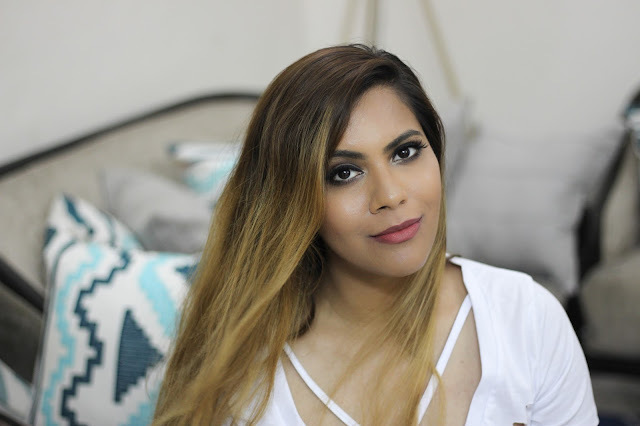 Finish is matte and the formula can be a little drying in winter months. But in normal Co fictions, it works well. Lipstick does transfer but once the top layer is gone, the pigments stain the lips which stays on for hours. As I mentioned before, the formula is very lightweight, almost feels like nothing g on the lips. It's a creamy formula but don't expect it to heel or anything. I have been using g them for around a month now and these babies are super duper pigmented, one swipe is more than enough for a bright and bold color. Also I have noticed that lipcrayons kind if cling to the dry skin on kips and make it look worse so make sure you scrub well before applying it. 3. Leaves a beautiful stain on the lips. 4. Does not bleed out of lips. 6. Lightweight formula, perfect for daily wear. 1. Formula can be a bit dry g.
2. 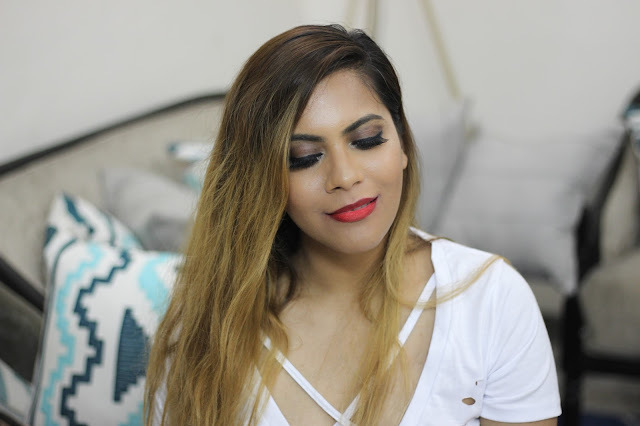 After a few hours of application, product gets into lip lines. 3. Not suitable for dry cracked lips. 4. If you are use to transfer proof lipsticks then this is not it. 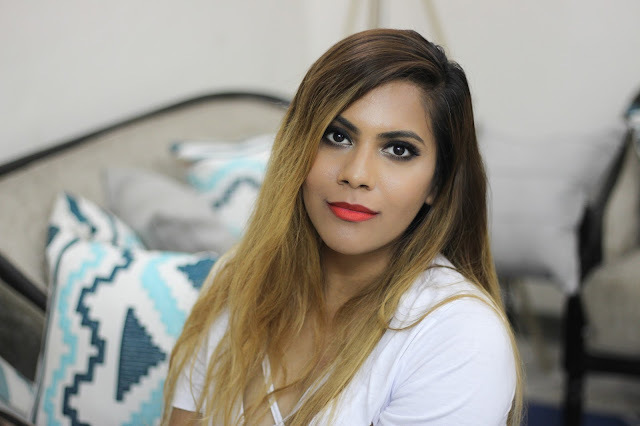 Lakme Enrich Lip Crayon is a perfect lipcolor for everyday use, easy to use and economical, just make sure your lips not not too dry and chapped.